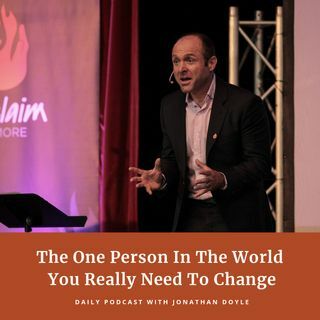 In today's episode I share a great quote from Mahatma Ghandi on the truth that most of us will never get to change the planet but that does not mean we should not try to change ourselves. Many people seem convinced that one of the big goals of life is to change the world. Maybe? Either way, you don't get to change the world until you change yourself. Listen in as I share the importance of this perspective and what it means for all of us.